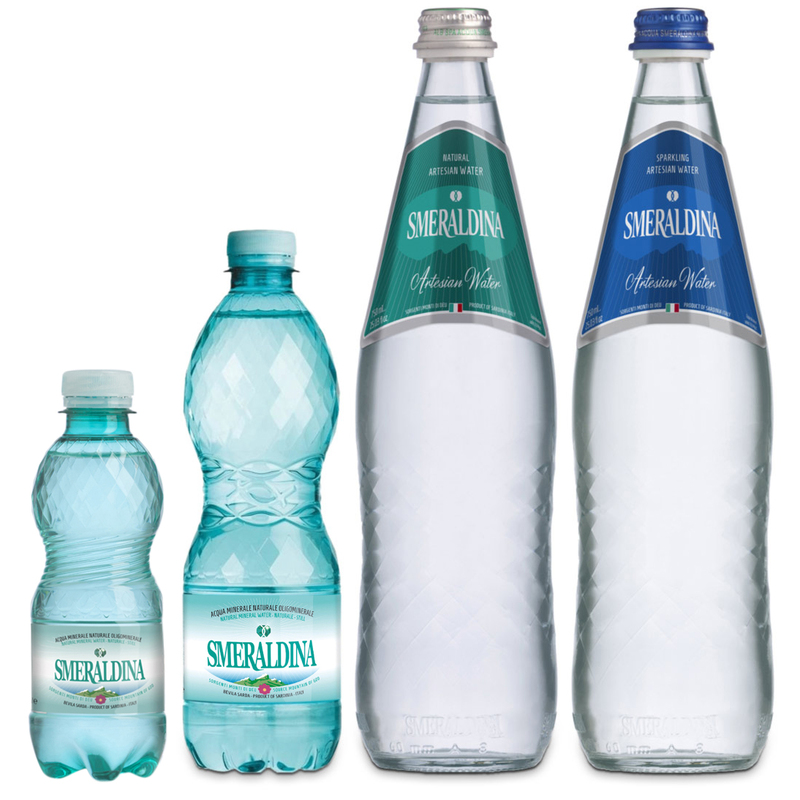 From the pure and pristine island of Sardinia, Smeraldina Artesian Water begins its journey in an aquifer almost 1,000 feet under the famous “Mountain of God.” The water is naturally filtered by granite rocks, which produce a natural balance of dissolved minerals and a pleasant flavor. The island of Sardinia has a low population and is free of environmental pollution, making it one of the most pristine regions in the world and part of the “Blue Zone” of the Mediterranean. Still and sparkling available.